Cool Spy Gadgets – Why Would You Ever Need Them?! While I was browsing through some cool spy gadgets, I started wondering “Who in the world would really need them? !” The real-life “Bonds” out there don’t need to make any dramatic entries or make girls swoon with their hi-tech gizmos and charm; and the ‘baddies’ out there seem to possess better technology than the good ones!! Being a simple (and almost invisible citizen on the global map) who goes about my chores, professional responsibilities and personal liabilities; balancing the act called life takes me more time than I would possibly like to dedicate. So, where in the world would I find the time to spy on others?! So if the 90 percent of the people on the earth (who share my story) don’t need these cool spy gadgets and the other 10 percent that belong to all the secret services that could possibly exist have their own hot weapons; then who are these gadgets being made for?! I decided to do my own “investigation” (read “spy-gation”) and find out!! In my efforts to get my investigation started somewhere, I began with the universal trend of browsing and turned to the universal ‘redeemer’ and ‘provider’ of all information – Google!! And then I found myself browsing and browsing and browsing… and before I realized it; I had missed my breakfast, messed up my lunch, and turned my steaming coffee into a cup of dead-cold, soiled water!! 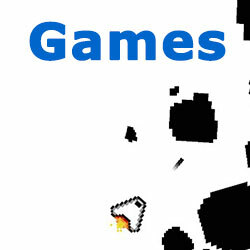 Believe it or not; there are so many sites and so much of information dedicated to spy gadgets! And the more I browsed, the more information I discovered…It almost started looking like a reflection of my responsibilities…a journey without end!! And then, I decided to put a full-stop to my search and find out if these gadgets were of any good and, if so, of what good! And thus started my personal journey on the way to discovering some of the cool spy gadgets that are made available to the common man. Thanks to the ingenuity of some smart guys; and the implementation of some smart selling techniques by some really smart websites, I found myself the proud owner of quite a few spy gadgets. They really do have a way of finding people “in the oblivion” (like me) and making us their dedicated customers!! 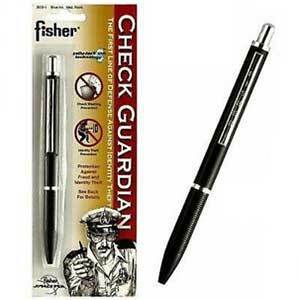 One really cool gadget that caught my fancy was the Check Guardian Pen. Yes, I also wondered why this would be categorized under spy gadgets. But then, it protects me from those spying and prying eyes (and hands, actually) that try to make away with my hard-earned money. This pen ensures that fraudsters don’t get away with my utility cheques by altering the Payee name in them. I also discovered that they don’t necessarily have to alter or duplicate my signature to rob my cheque; they can do that by just altering the payee details!! So along with a really cool spy gadget I also gained some really cool information! Another spy gadget that had my attention and actually managed to justify its spy tag was the Vehicle Safeguard Video Recording Camera. Although its name sounds like something that should belong to the security or police personnel; believe me it is something that every common man should have to protect themselves, their vehicles, and their own interests. In this dog-eat-dog world, getting into dog-fights and road-rage is something that occurs more often than you would expect; and sometimes you are just an innocent driver who gets pulled into the whirlpool of things for no mistake of yours. You cannot sit back and say let the “truth” prevail. For according to the law, the only thing that prevails is evidence!! So, you need to get your evidence or make it yourself! The next time someone jumps a signal or rashly overtakes you; or maybe even rams into your vehicle in their attempts to do so – you have your solid proof. 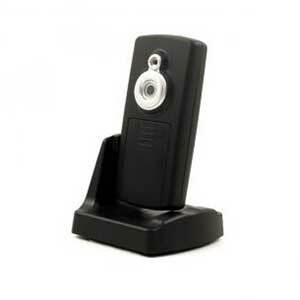 This gadget sits conveniently in your dashboard and, while you drive, allows you to record all the events that unfold. When the police personnel finally arrive or call you up for any untoward incidents; you do have your recorded evidence. And I can assure you no amount of smart-talking by the other person can stand against your solid evidence. You will have the last laugh!! A really cool spy gadget – don’t you agree?! It is not uncommon for a common person like me to do an annual or bi-annual clean-up operation. Although it is not, in effect, a one like what the army or police personnel engage in; it is done with the same fervour, if not more! There comes a point in every person’s life when the house we live in starts feeling like a dump and we make this life-changing decision to dump what is not necessary, to preserve what is essential, and to exchange what can be made better! It is like a recycling process of our entire daily living!! But in this over-enthusiastic reaction, sometimes, we do make life-altering decisions and take actions (literally)! There is so much paper sitting in the files and cupboards, although we start with the very good intention of reviewing each before gifting it to the scrap shop; there comes a point when we start altering our decision, slightly. Some things considered important or personal cannot be gifted, so we decide to do the next best thing – shred it!! But, the shredding becomes such a liberating exercise; it is not uncommon to realize that we have shredded something very important in our over-enthusiasm. And the funny thing is this realization dawns right after the last bit has been eaten by the shredder!!! Ever wondered what to do next?! 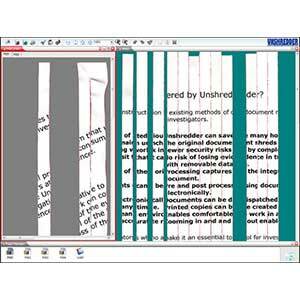 Although going crazy seems like a good idea (and an easy way out); here’s the next best option (and a more practical one) – get the Unshredder. This is basically a document reconstruction tool that helps to put together your shredded past (present or future) through a computer program that reorganizes the shredded information through various processes of collation, segmentation and reconstruction and reporting. It is a not a new concept; it has been in use by various government agencies and now has been brought out to the common man, like you and me. Someone out there does spare a thought for the common man!! Makes our life better, no doubt! It unshreds the document and pieces back together our shattered peace of mind!! Well, the list does not end there. I did discover a lot more super cool spy gadgets that every person would find beneficial. Yes, spy gadgets are not for super cool spies alone! You and I would find quite a few ones that can help in our daily life. And believe me they make our ordinary existence an extraordinary experience. (Ok, Ok… I just wanted to make a dramatic exit!!) Nevertheless, don’t let that dampen your enthusiasm, check out these cool spy gadgets. Why Do I Need A Survival Kit Checklist? Windows 10 – Is It Worth It?